Middle Atlantic Horizontal 90-Degree tee splice kit in black zinc finish, has steel construction for added durability and strength. 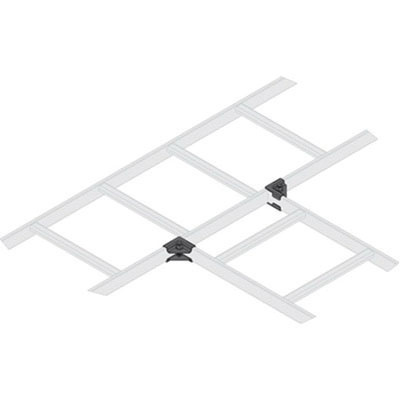 This splice kit is ideal to use with popular ladder brands and accessories. It can be used on new and existing installations. The kit measures 2.09-Inch x 2.09-Inch x 0.468-Inch. The kit meets UL and RoHS standards.